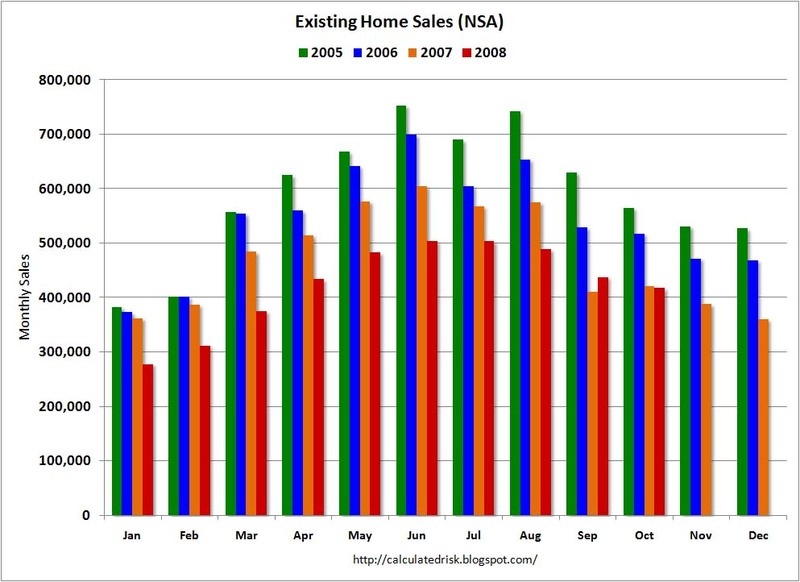 Sales of existing homes dropped 3.1% from the prior month in October, and slipped 1.6% from the previous year. 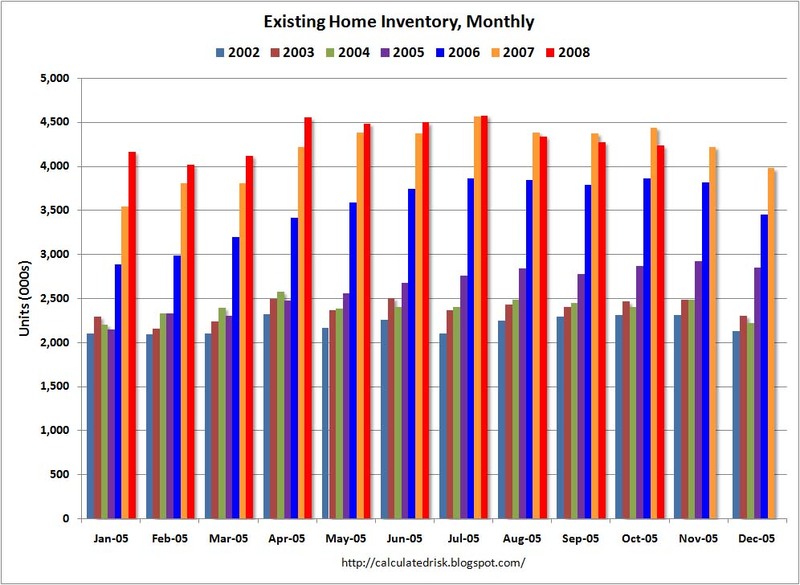 Total housing inventory fell 0.9%. 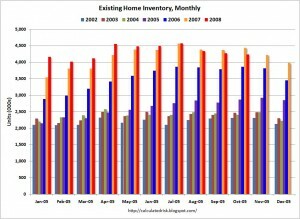 percent to 4.23 million existing homes available for sale, which represents a 10.2-month supply at the current sales pace, up from a 10.0-month supply in September. Single-family home sales declined 3.3 percent to a seasonally adjusted annual rate of 4.43 million. Prices fell by the most on record: Median price fell 11.3% ($183,300) from a year earlier. This is the largest year-over-year existing home price decrease since records began in 1968. Bloomberg noted the price drop is “signaling a deepening housing recession going into 2009,” but I think their interpretation is in error. This is another of those “Looks bad, actually is good” data points. Prices remain elevated, and the sooner they revert back to historic means, the better. Funny, I do not seem to recall them warning about upward distortions of prices due to the combination of absurdly easy credit, ultra-low rates, and the appraisal fraud some of their membership helped to promote. The simple fact is that these “distressed” sales were the unavoidable result of money being lent to people who never should have received it, and these borrowers then buying homes they could not afford. The so-called distortion took place years ago, and the current distressed sales are the repair of that distortion. That the National Association of Realtors refuses to acknowledge this only further reinforces their image as absurd cheerleaders and idiot naifs. They have a significant degree of culpability in the entire housing debacle.